Brief synthesisHa Long Bay, located in the Gulf of Tonkin, within Quang Ninh Province, in the northeast of Vietnam, is165 km from the capital of Ha Noi. Covering an area of 43,400 ha and including over 1600 islands and islets, most of which are uninhabitated and unaffected by humans, it forms a spectacular seascape of limestone pillars and is an ideal model of a mature Karst landscape developed during a warm and wet tropical climate. The property’s exceptional scenic beauty is complemented by its great biological interest. IntegrityAll elements necessary to sufficiently protect the outstanding scenic and geological values of the Ha Long Bay property are included within the boundaries of the property and its size and area provide sufficient integrity for the large scale geomorphological processes to operate unhindered. It benefits from being completely surrounded by a large and extensive buffer zone with both the size and area providing sufficient integrity for the large scale geomorphic processes to operate unhindered. Protection and management requirementsHa Long Bay was established as a historical and cultural relict and classified as a National Landscape Site in 1962. Subsequently designated as a Special National Landscape Site under the Cultural Heritage Law amended in 2009, land tenure is held by the Provincial Government. The property is protected effectively by a number of relevant provincial and national laws as well as governmental decrees including; the Cultural Heritage Law, the Bio-Diversity Law, the Tourism Law, the Environmental Protection Law, the Fishery Law and Marine Transport Law. Under these laws, any proposed action within the property that could have significant impact on the property’s values must have official approval from the Ministry of Culture, Sports and Tourism, along with other relevant ministries. Socio-economic activities on Ha Long Bay are well regulated, carefully observed and effectively managed. Management and protection are further strengthened through regulations, master planning, and action plans at the provincial level. These include regulations on operation of tourist boats, mud dredging, land filling, fishermen and floating house management. They also provide for education and promotion, and enhancing community awareness of heritage values and their protection. There are several specific plans dealing with environmental protection, tourism development and management and conservation planning. 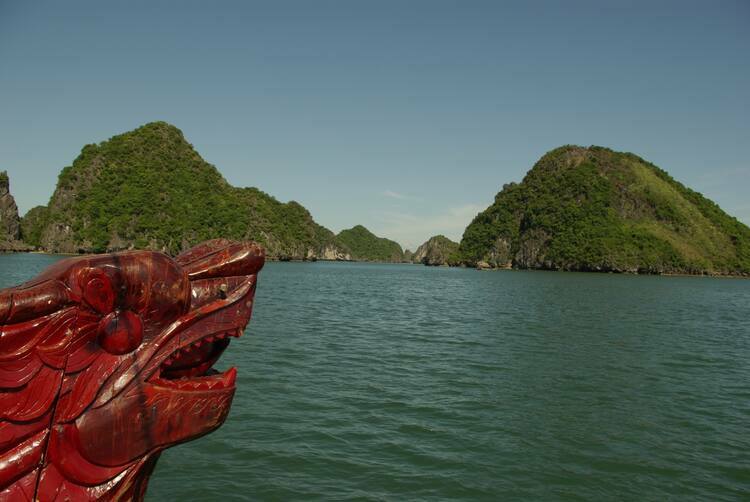 These include Ha Long Bay to 2020, the master plan on conservation, management and development of the values of World Natural Heritage approved by the Prime Minister in 2001, and the Comprehensive Management Plan for the Ha Long Bay World Heritage Site 2010 – 2015 approved by the provincial authority in 2010.